Tax Day And Health Insurance Under Trump : Shots - Health News To avoid penalties, people who didn't have health insurance in 2016 or who got federal assistance to pay the premiums need to take a little extra care when completing their tax forms this year. For the majority of tax filers, who had health insurance through an employer for 2016 or through a government program, all they have to do is check the box on the 1040 form that says they were covered for a full year. That's it. The Obama administration had called for the IRS to begin rejecting tax returns for 2016 that left that box blank. But the IRS under the Trump administration has canceled that policy, citing a Trump executive order that calls on federal agencies to "minimize the burden" of the health law. Those with no insurance, and those who have had a lengthy gap in coverage, may be required to pay what the federal government calls a "shared responsibility payment." It's a fine for not having coverage, on the theory that even those without insurance will eventually use the health care system at a cost they can't afford, which means that someone else -- other patients, hospitals, health care providers and taxpayers — will have to pay that bill. Many people who don't have insurance, however, qualify for one of the several dozen "exemptions" from the fine. 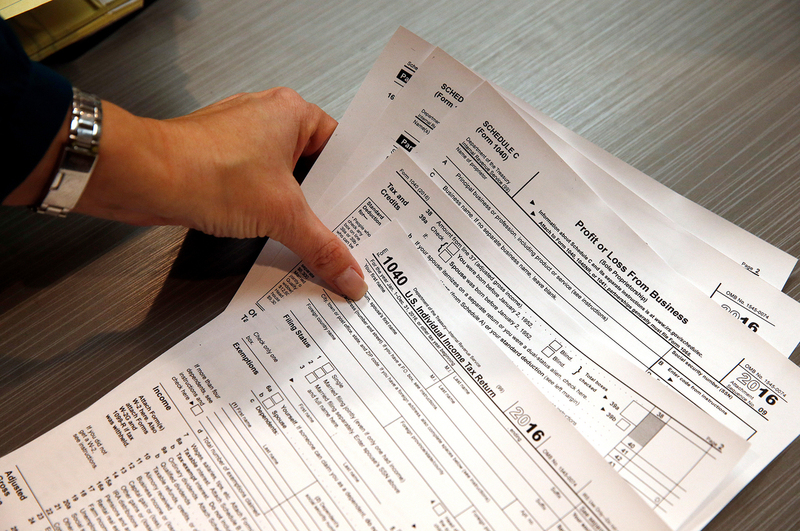 Nearly 13 million tax filers claimed an exemption for 2015 taxes, according to the IRS. Most often those exemptions came from people whose income was so low (less than $10,350 for an individual) that they are not required to file a tax return, or from Americans who lived abroad for most of the year, or from people for whom the cheapest available insurance was still unaffordable (costing more than 8 percent of their household income). The maximum fine is $2,676; that is the national average cost of a "bronze" level insurance plan available on the health exchanges. But most people do not pay fines that are anywhere near that high. Last year, according to the IRS, an estimated 6.5 million tax filers paid a fine that averaged $470.